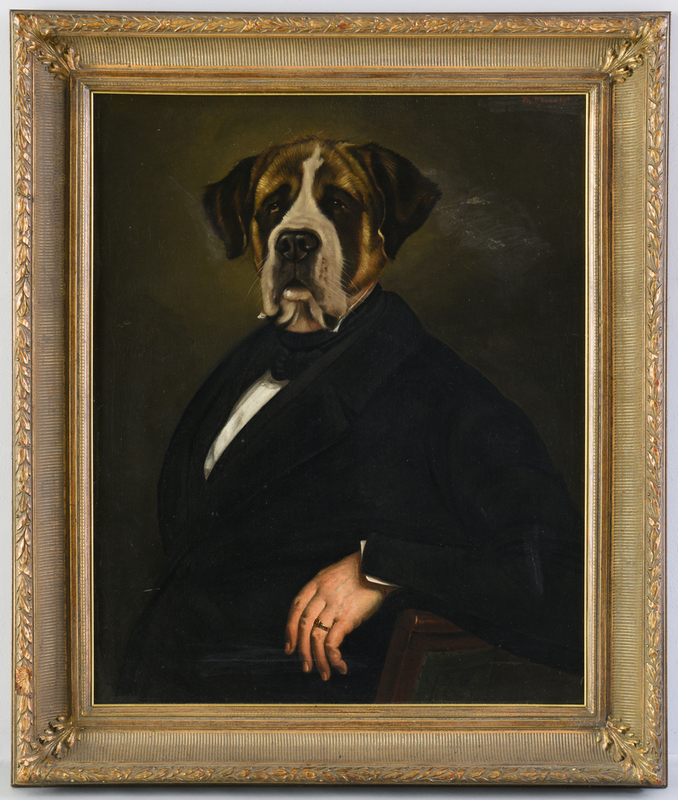 Thierry Poncelet (Belgium, b. 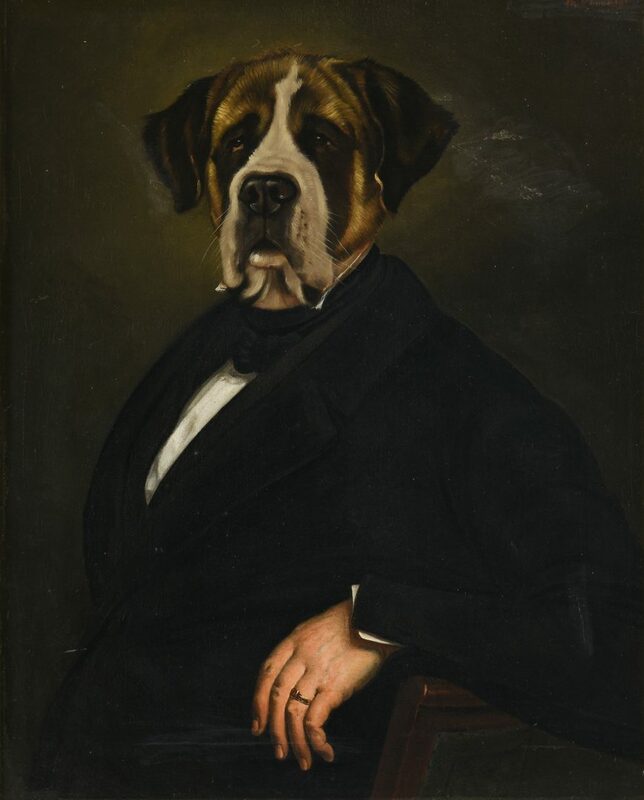 1946) oil on canvas depicting a dog, a Mastiff or a Saint Bernard, in a suit. 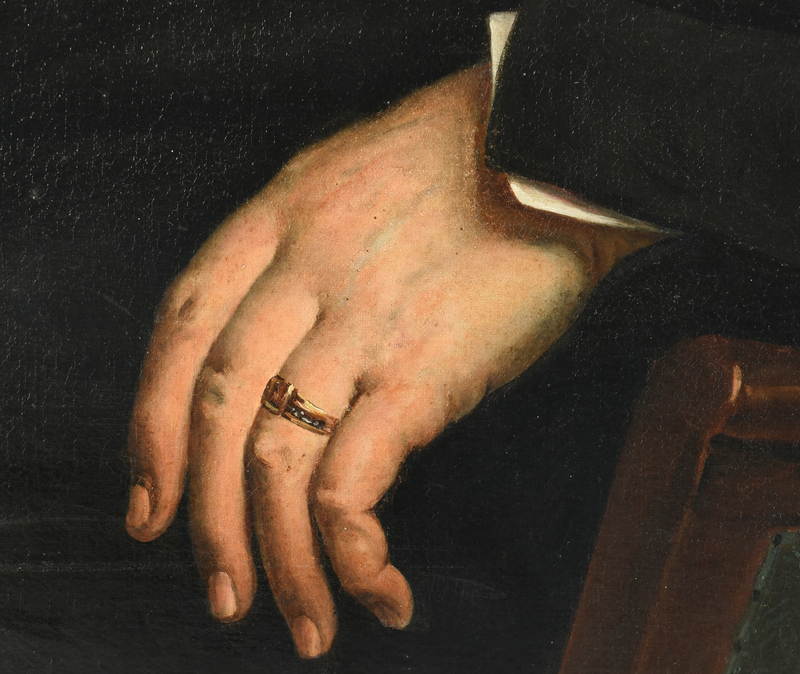 He rests his right arm against the back of a chair, a ring with a red stone visible on his human hand. Signed "Th. Poncelet" top right of painting. Housed in a gilt carved wood frame. Sight – 30 7/8" H x 24 3/4" W. Framed – 39 1/4" H x 33 1/4" W. CONDITION: Slight peeling or light exfoliation of varnish layer to right side of background near head. 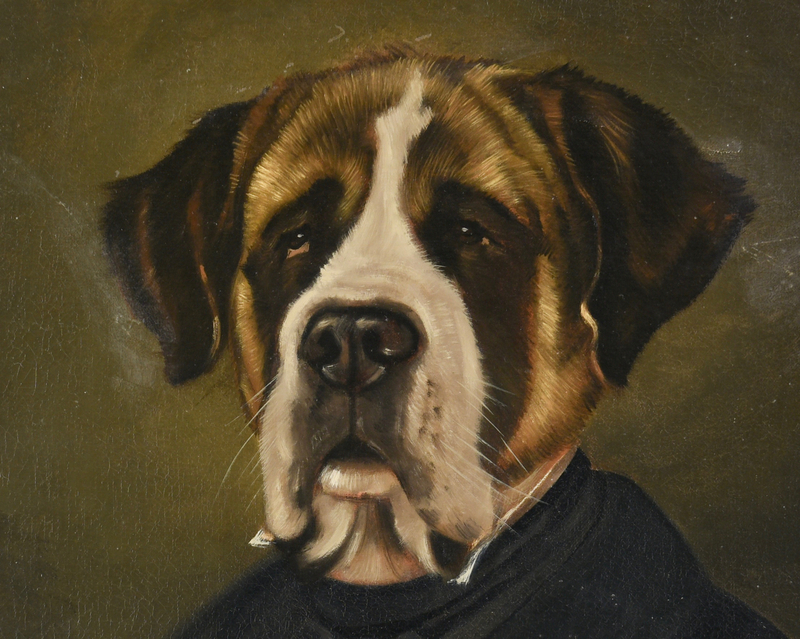 A couple of small bulges of painted surface in right ear area (stable). 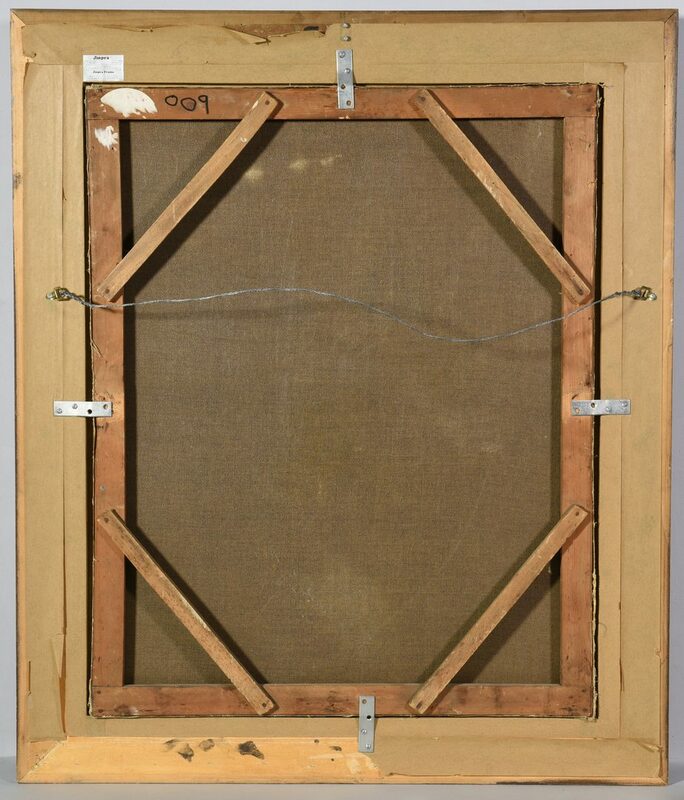 Minor losses to frame (1 1/2" loss to frame, lower left).